Along with boosting our mood and thinking power, coffee offers a whole bunch of health benefits when enjoyed daily. Check out these 6 boosts to your physical wellbeing – and they can all be achieved with a sip of your morning espresso! You’re probably aware that black coffee contains next-to-no calories – great for diets – but did you know it can also help you burn existing fat? Coffee stimulates your metabolism and raises the oxidisation of fatty acids in your body, making it far easier to burn off! While nothing can replace a healthy diet, a few coffees each day can add valuable nutrients and minerals to your system. Coffee is packed with various B vitamins, potassium, manganese, and is one of the biggest dietary sources of antioxidants in existence – outstripping both fruits and veggies combined! Let’s face it: our lives would be far worse without our daily coffee break – and as it turns out, our livers would, too! 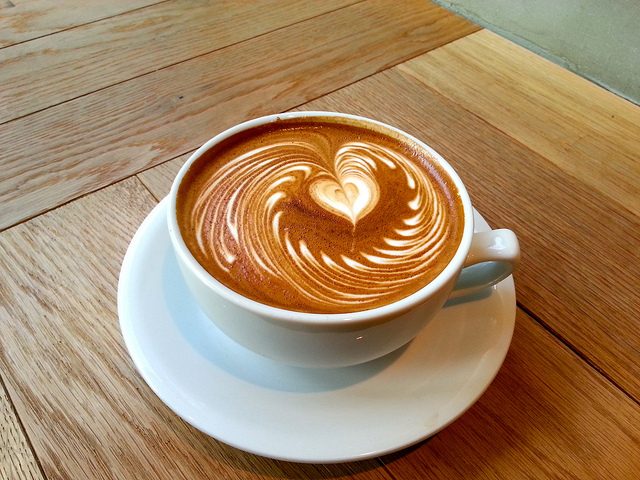 Coffee has been shown to promote healthy liver function, decreasing your chance of developing liver cirrhosis. Along with adding healthy vitamins to your diet and helping to burn off excess fat, coffee can also improve your fitness regime! Research shows that caffeine increases endurance levels and improves athletic performance. You know what they say: go with your gut! Drinking coffee increases your intake of soluble fibre, which helps with digestion and promotes the body’s absorption of vital nutrients. It gives our minds a zap in the morning when our emails make no sense, so it’s not really surprising that coffee boosts other brain-related functions. Your morning elixir is responsible for boosted cognition, problem solving abilities, and short-term memory – making it ideal for pre-exam study sessions and revising before that big meeting. There you have it: never let anyone say that coffee addiction is ‘unhealthy’ again! For a health kick that will have you buzzing, order your Beans N Barbells online today. In today’s episode, we once again chat with Denet Lewis from Beans & Barbells and we get schooled on coffee and the coffee plant a bit. We discuss the optimal location for growing coffee, the best climates and what really makes a coffee plant “tick”. Denet Lewis from Beans N Barbells will reveal how to start a coffee business under $10000 and how did they find their crowd in the crossfit niche. In this episode we will also talk about different ways to make cold brew and also how to bottle cold brew. With Denet we will discuss their buttered coffee derivative which is based on the Bulletproof coffee. Today we’re joined by Denet Lewis from Beans & Barbell. Denet’s company Beans & Barbells is currently a mobile pop-up cafe the primarily caters to the CrossFit communities. Denet brings a wealth of knowledge to our discussion as he grew up on a coffee farm in South Kona on the Big Island of Hawaii.